This 3 pc. Set is made of polycarbonate/ABS. Polycarbonate is the same material used to manufacturer bullet proof glass. The major benefits of this material - it is extremely lightweight, it is durable, and protects the contents of your luggage. Eight multi directional spinner wheels rotate 360 degrees for easy maneuverability. 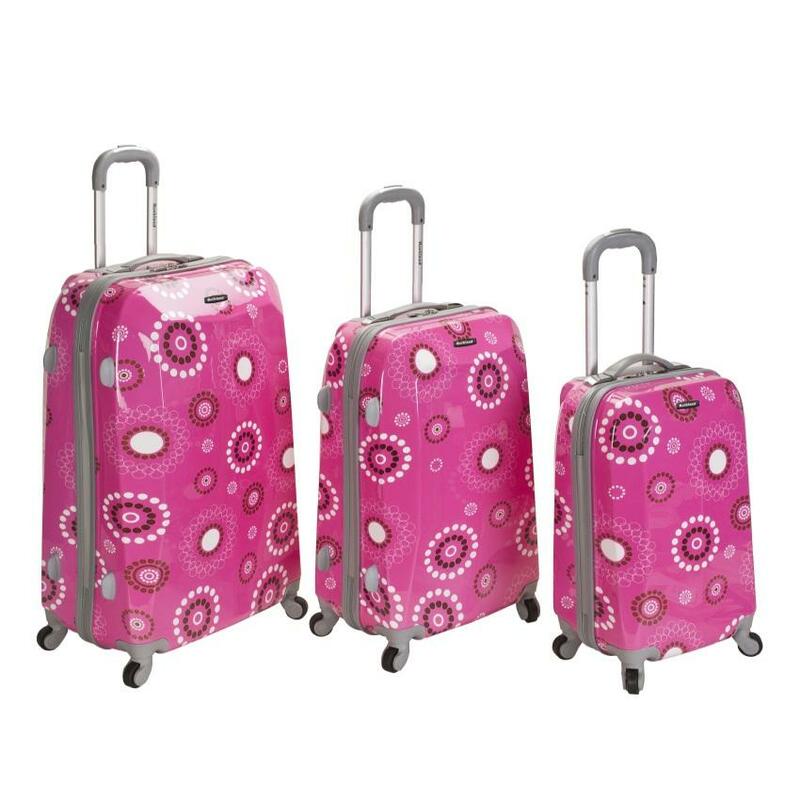 This luggage allows you to pack more while avoiding the excess weight surcharges imposed by most airlines. Multi-directional spinner wheels for easy maneuverability Modern internal chrome telescoping handle with push button handle. Interior mesh and zip pocket and elastic pocket* 5 year warranty * 20"X13"x9" weighs 6 lbs, 24" x15"x10" weights 8 lbs, 28"x17"x12" weighs 10 lbs.